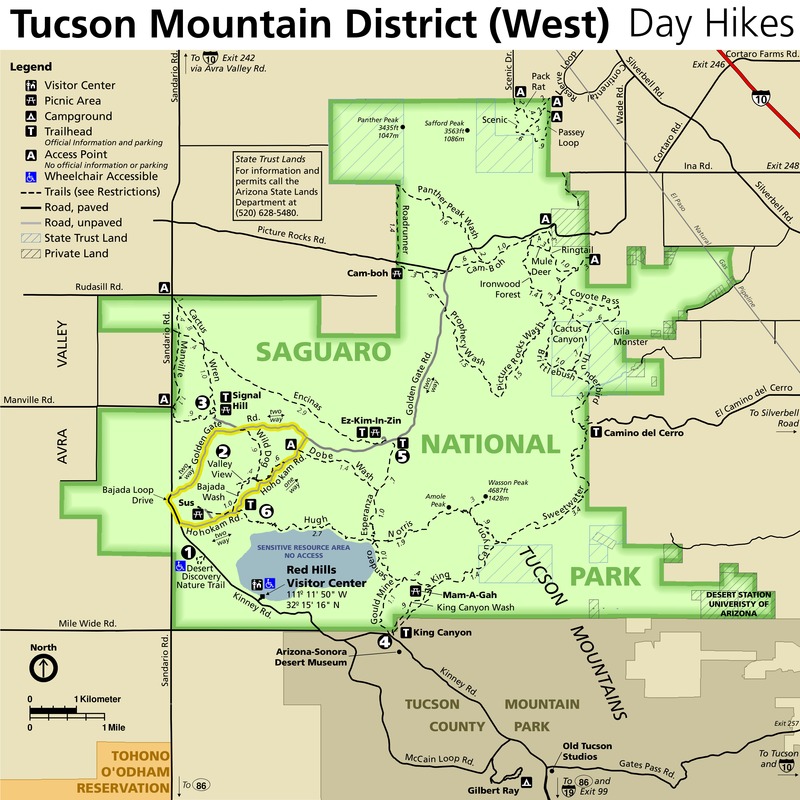 The Three Tanks Trail starts on the desert floor of Saguaro National Park along the Wildhorse Tanks Trail and terminates at the Douglas Spring Trail. 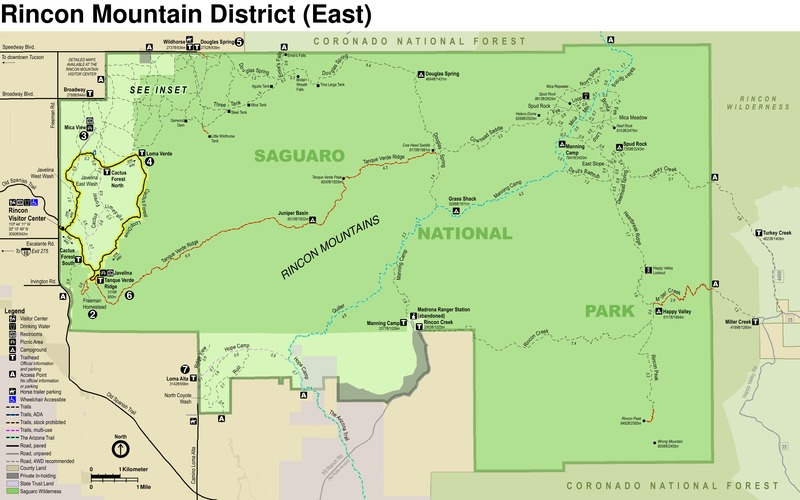 The trail climbs the lower hills of the Rincon Mountains and ends on a low saddle just prior to the Ernie and Bridal Wreath Falls trails for a total of 2.1 miles. 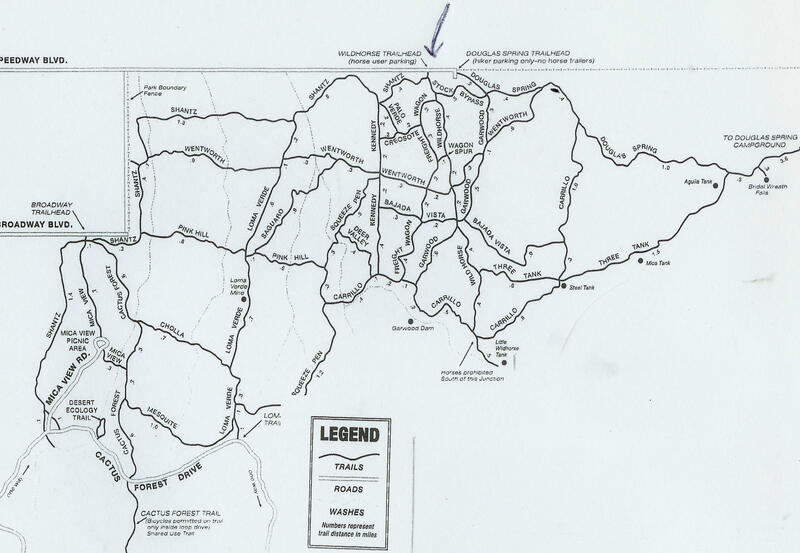 The trail is named for the three tanks along the trail, Steel Tank, Mica Tank and Aguila Tank. Steel Tank is an actual steel tank and the other two are dug out cattle tanks. 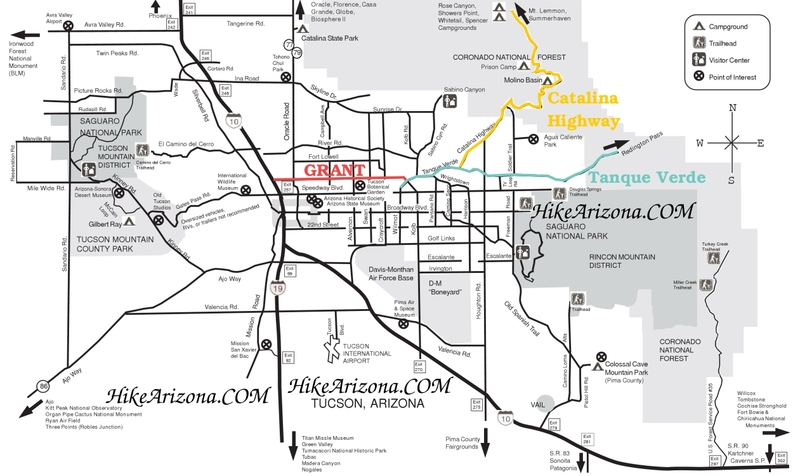 Since this trail does not have a trail head that is accessible by a vehicle it is usually done with connecting trails, Garwood, Wildhorse or Douglas Spring Trail. For this reason the Three Tanks Trail makes for interesting loop Trails using the trails mentioned above. 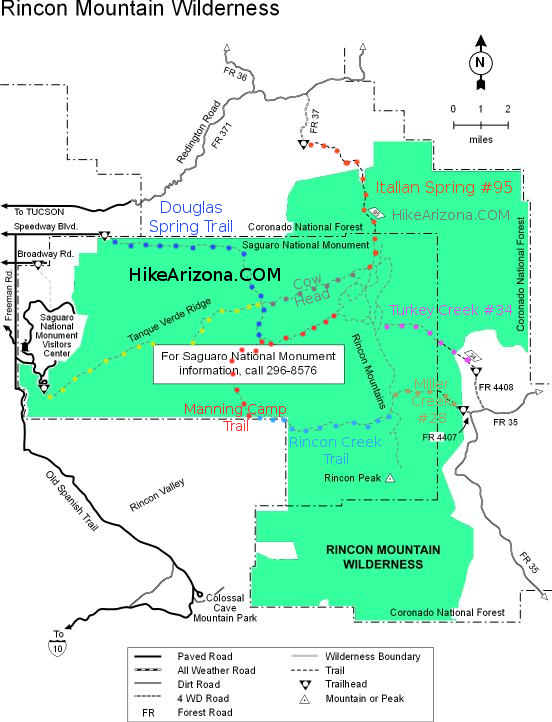 This description along with the Route is from the upper end of the Three Tanks Trail at the junction with the Douglas Spring Trail and continues from there down to the junction with the Wildhorse Tanks Trail. The Three Tanks Trail is in really good condition and even though the AEG is 770 feet the ascent or descent is not difficult. The trail after leaving the junction with the Douglas Spring Trail remains fairly level for about .3 miles until it crosses a creek and the location of Aguila tank. You have to look a little for this tank, it hasn’t been used for cattle in many years and is located just to the right of the trail (North) in the creek. If hiking along this section of trail in the warmer months, particularly in early morning, watch out for snakes. This little .1 mile section near the tank is where I ran into 4 rattle snakes and one Gila Monster all along the trail. From Aguila Tank the trail does it’s only climb, it is only about 100 feet and climbs to the top of a small ridge, from this ridge though it is all downhill. Mica Tank is at about 1 mile in and is easier to spot, particularly if approaching from above as in this description. The creek the trail is now in is the upper drainage of Deer Valley wash and the trail follows close to this creek the rest of the way. At 1.5 miles the trail comes to Rock spring and the location of Steel Tank. This tank has been dry for some years but at one time it had gold fish in it that were placed there to keep the algae down in the tank. After leaving Steel Tank the trail follows close to Deer Creek that is now cutting deeper into a canyon just south of the trail. At 2 miles the trail has some great views of the pools in this creek. At the time of this hike the creek had a little water in the pools from the monsoon rains that just started within the last week. At 2.2 miles the trail connects up with the Wildhorse Tanks Trail.